A man was shot to death early in the morning on New Year's Day. 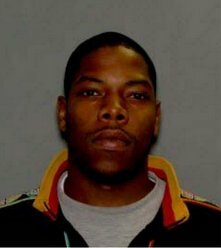 Hempstead, NY - January 8, 2013 - Crime Stoppers and the Nassau County Police Department’s Homicide Squad are seeking the public’s help for any information in connection with the murder of the victim pictured right. The murder occurred in Hempstead, New York. On Wednesday January 1st, 2014 at approximately 3:15 AM, Andre Graydon was shot by unknown person(s) in the vicinity of Seduction located at 306 Main Street in Hempstead, New York. The victim was taken to a local hospital where he died of his injuries. Subject: LongIsland.com - Your Name sent you Article details of "Police Searching for Murderer in Hempstead"